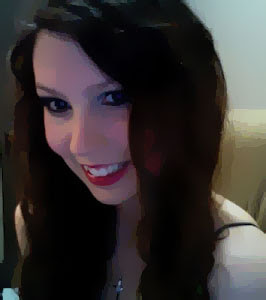 Okay, so there's something I need to confess: I have an obsession with Pinterest.com. It's got such a wealth of cool ideas and a super simple organization system. What's not to love?! So here I am with another board I put together specifically for this blog. 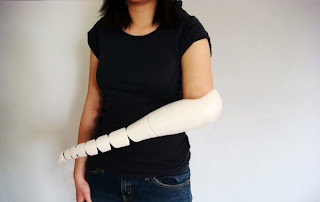 As a one-handed girl, I've had my share of experiences with prosthetics (I got my first one when I was only a few months old.) My parents thought it would be a good idea for me to wear one to create a semblance of normality and to make me feel just like every other happy-go-lucky little kid. Back then (and this was twenty years ago), prosthetics were all about function. In addition to grasping small objects (yes, I even had the awful harness arm with the over-the-shoulder strap that cut painfully into my skin), the artificial arms of the time were known for trying to look like flesh-and-blood limbs. Of course, most of them failed at this attempt. Despite the skin covers with the almost-lifelike hair follicles and the French manicures, the arms' many screws and rubber texture betrayed what they really were. Honestly, I think I would have gotten fewer stares if I had just walked around without the artificial hand. Nowadays, fortunately, the paradigm for prosthetics has changed significantly. People are starting to view artificial limbs as both functional AND fashionable. Gone are the days when a limb deficient person had to try his or her best to hide the lack of an appendage. 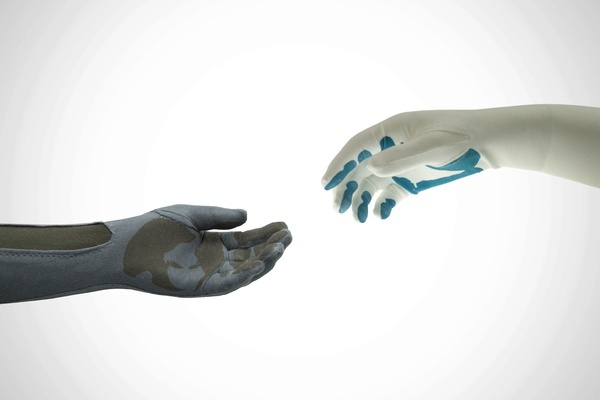 In this age of constantly advancing science and technology, prosthetics are considered cool. 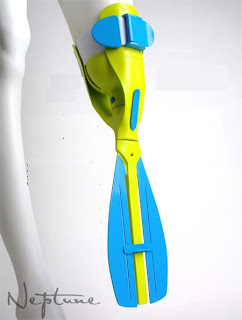 This means that prosthetists are taking liberties in how they design these artificial limbs. You can now find anything from tentacles (see picture on right) to mermaid tails to legs with detachable heels. Pretty awesome, huh? So in celebration and appreciation of how far prosthetics have come in the last few decades, check out this Pinterest board featuring some of the coolest artificial limbs available today. If you're anything like me, you're already planning outfits you can pair with each of the prosthetic arms....But then again, that might just be my Pinterest addiction talking. Did you see the mermaid one? That's totally awesome! I know! I always wanted to be a mermaid when I was little. It's not politically correct, but I want you to wear the fin one to work and bop people with it when you've had enough!